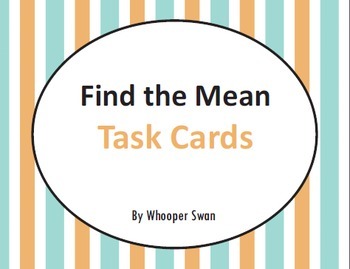 In this packet you will find 24 Task Cards, Recording Sheet and Answer key. 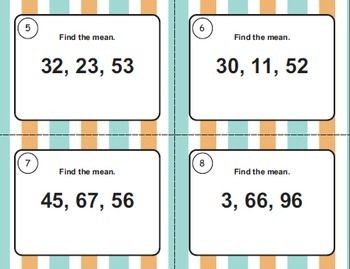 Cards 1-4 : Calculate averages of 2 digits. Cards 5-8 : Calculate averages of 3 digits. Cards 9-12 : Calculate averages of 4 digits. Cards 13-16 : Calculate averages of 5 digits. Cards 17-20 : Calculate averages of 6 digits. 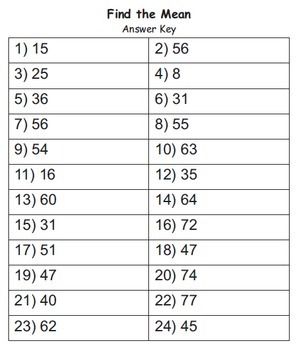 Cards 21-24 : Calculate averages of 7 digits.